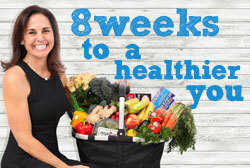 8 Weeks To A Healthier You! Cover nuts with water and soak nuts over night. Drain nuts, place nuts in high speed blender like a Vitamix. Add water, extract, dates & cinnamon, blend finely. Plastic paint type can. Pour the blended mixture into bag. 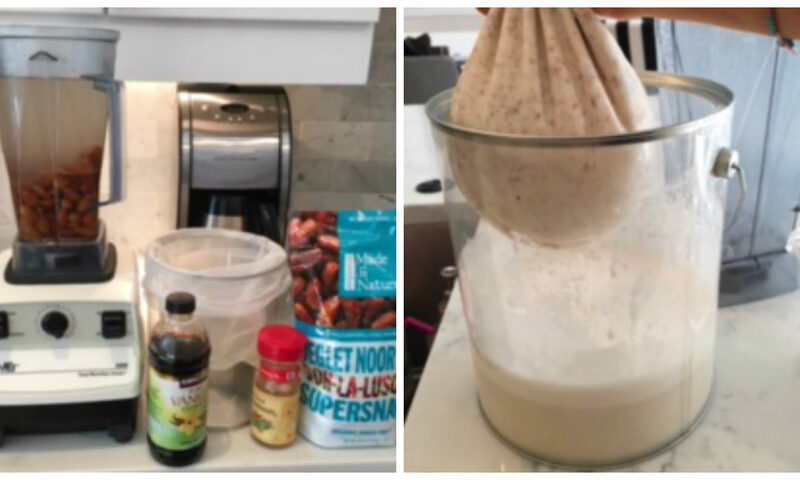 Lift, twist bag to close, squeeze and knead the mixture to drain all liquid. Save the almond pulp & place on baking sheet to dehydrate at 100 degrees for several hours. Use almond meal/flour for other recipes. Join the 8 weeks to a healthier you program. A foundation of principles that will lead you to better levels of health one small step at a time. Subscribe to our list today and get a FREE 20 minute call to see if health coaching is right for you. ABOUT US: The Simple + Well philosophy is that small, sustained changes add up in big ways over time. Our content and programs give you the tools you need to heal your body, get to better levels of health and sustained weight loss.